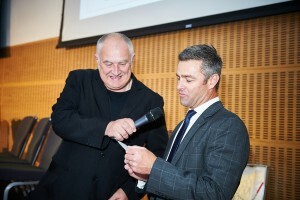 With over 35 years of experience, Adam Night is probably one of the most famous hypnotist comedy shows in the United Kingdom today, hence is the first choice for a comedy stage hypnosis show. He has taught and mentored many of the other UK and overseas names. He is open to discussing any hypnosis party ideas with you, especially if you are looking for an alternative to a stand-up comedy, a hypnotist comedian might be just right for you. The suitability of the show ranges from large corporate events, weddings, parties, even clubs and pubs to colleges and universities. •	Top quality entertainer - He is fast, funny and versatile. He will customise his show to suit any audience. •	Excellent value for money – He is possibly one of world’s most unique entertainer, making him being booked again and again. He is one of the UK's best comedy entertainers in his price bracket. •	Over 35 years’ experience – Bringing to you the smoothest and the most immaculate experience. •	Fully Insured (including in trance cover) - **This is a legal requirement by most local authorities, and assures you an added peace of mind. Often copied - never bettered! What is a Mind reader? Imagine for a moment, being told things that exist solely in your mind, things that no-one could possibly know! A mind reader can predict your actions before you have made them! This is a unique and very powerful form of entertainment! A 40 - 60 min performance of mentalism with the emphasis on humour and audience participation. Mind reader, mind magician, mentalist or psychological entertainer - call it what you wish to. This is unique, fast comedy entertainment at its best! 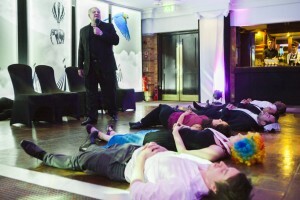 His comedy stage hypnotist show, is ideal for your corporate entertainment, conference, wedding or event entertainment. Fully covered by public liability insurance**, this show is ideal cabaret for party and Christmas party events. What Can Adam Do For You? 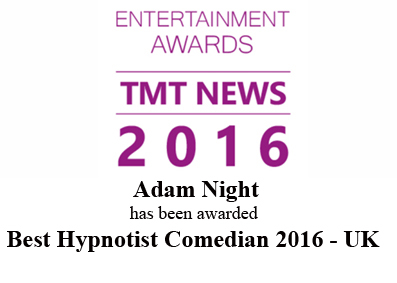 This website www.adamnight.co.uk or www.bookahypnotist.co.uk are the homes of Adam Night, and his hypnotist comedy show, along with his mind reading, mentalism and thought control show ‘the power of the mind show’. Click here for more info……. There is also useful information regarding the origins of hypnosis, the laws concerning booking a hypnotic cabaret show, access to the Review of Hypnotism Act 1952. Useful information to know before booking a hypnotic cabaret show, and some very interesting links to great resources about hypnosis, other entertainers, and entertainment related interests. The site also contains a useful dictionary of hypnosis and NLP terms, a history of hypnosis, and a history of entertainment hypnosis & hypnotism shows.